boundary 2 is a Duke University Press Journal. 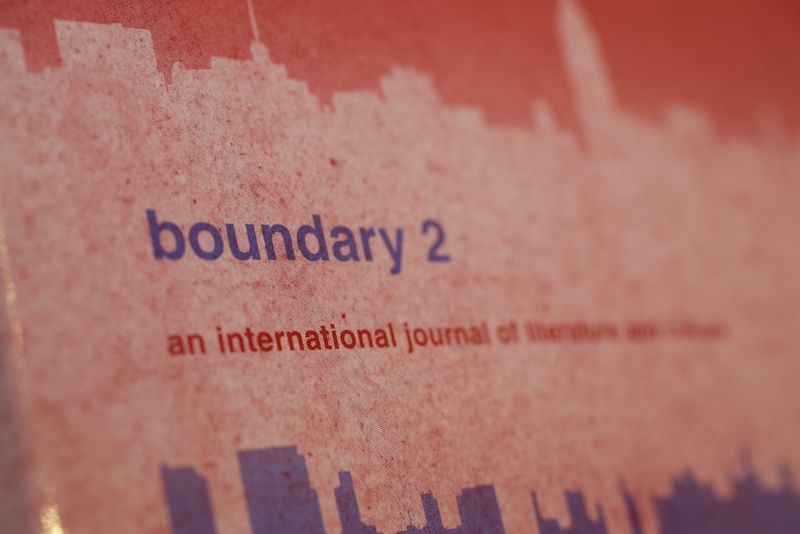 Since its debut in 1972, boundary 2 has sought to recognize and interrogate new flows of literature, criticism, and theory. Originally dedicated exclusively to postmodernism, boundary 2 expanded its focus in the late 1980s to where it remains today, investigating literature and culture in ways important to a transitional era in media, writing, politics, and ideas. Each issue of the journal approaches problems of literature and culture from a number of politically, historically, and theoretically informed perspectives, offering a diverse range of analyses and intellectually rigorous explorations. A typical issue includes long essays, reviews, and shorter, topical interventions. In recent years, the journal has published special issues devoted to such topics as China After Thirty Years of Reform, American Poetry After 1975, the Sixties and the World Event, Tunisia and the Arab Spring, and Critical Secularism. 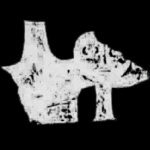 William V. Spanos and Robert Kroetsch founded boundary 2: a journal of postmodern literature at SUNY at Binghamton in 1970, when literary critical study in the United States was in a period of theory-induced ferment. The name boundary 2 referred to, in Spanos’s words, “the moment of transition from the modern to the postmodern, when we leave a boundary and find ourselves in unknown territory, where everything is up for grabs.” The journal’s essential subject matter at that time was postmodern literature—poetry, fiction, and drama that explored postmodernism’s possibilities, and literary criticism and scholarship that attempted to clarify its direction. In 1989, the journal evolved substantially, as editorial operations shifted from SUNY at Binghamton to the University of Pittsburgh under the editorship of Paul A. Bové and with Duke University Press as publisher. The editors and new publisher changed boundary 2’s subtitle to “an international journal of literature and culture,” announcing a shift in focus that would carry the journal forward through the next two-and-a-half decades. Special issues on Edward W. Said, Modern Chinese Literary and Cultural Studies, and Left Conservatism represented the shift, while also confirming boundary 2’s founding commitment to scholarly discussion. Through the nineties and into the 2000s the journal flourished, and it became one of the first humanities journals to be made universally available online through JSTOR. Today, more than forty years since its inception, boundary 2 continues to be a distinguished, provocative forum for scholarship and debate, both within and outside the academy. In spring 2016, boundary 2 launched a new website that includes, in addition to the already existing b2 review, new reviews and interventions sections, as well as a new journal. The new journal will publish both full issues, edited by members of the editorial board or guest edited, as well as peer-reviewed and non peer-reviewed individual articles, interviews, short pieces, and other texts. The journal’s focus will be on publishing time-sensitive materials and generating critical online debate. The journal masthead is composed of an editorial collective, supported by an editorial board and advisory editors, with representation from around the world, including George Lamming, Wang Hui, Cornel West, Gayatri Spivak, Charles Bernstein, Hortense Spillers, among others. Young and emerging scholars are periodically added to the b2 masthead, in the capacity of assistant editors, to augment the journal’s efforts, reform its processes, and renew its energies. Contributors from within all these ranks receive generous space and support to publish their work and pursue scholarship of significant cultural and literary merit.